Plus, an infographic with seven strategies so you can become a disruptor. If you desire to dominate your competition, there are lessons to be learned from the transportation sector. For instance, you can design market-shaking strategies, if you study the histories of ride-sharing companies such as Lyft and Uber. Each has completely upended the industry. Consider shocking data: From 2009 to 2016, Uber absolutely took significant market share from taxi companies. Yes, it only 7 years. As a result, in the U.S. there to be more Uber rides than taxi cab rides. Moreover, many Americans in adopting such transportation alternatives have actually skipped the expense of car ownership. Whether it’s through customer service, ease of use, or cheaper options, these are all calculated through discovering customer preference and seeing what they will give up in return for improved service. In the case of Uber, for example, they found that customers would give up the assurance of regulations like taxi licensure for the convenience of easy pick up, communication, and payment. And that they would stand for paying for premium service, if they could have the knowledge of where and when they could expect a pick up. This is done by tracking cultural shifts, not necessarily just tech innovation. With car sales trending downward, the automobile manufacturers are actually investing heavily in ridesharing. Because the recognize a change in culture and do not want to be outstripped by innovation. Now, rideshare and traditional car companies are investing in autonomous vehicles. They seem to believe that the next cultural shift will include customers giving control to computer systems in their transportation needs. If you want to be in the vanguard, you can never stop looking toward how cultural norms shift in relationship to a specific industry — like total reliance on technology. There are seven strategies you can become a disruptor. Tips to Make Risk-Taking Investments Work for Innovation — Accenture study explains increased investments in innovation haven’t resulted in competitive advantages for companies. Here are five solutions. 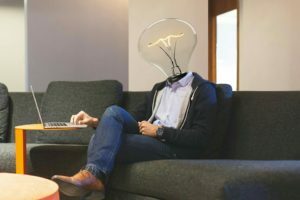 10 Innovation Tips to Boost Your Long-Term Customer Base — Businesspeople are constantly under pressure. Daily events make it challenging to make critical decisions for financial sustainability. Businesses must innovate to survive. Here are 10 key questions to ask about your business.